The reaction to his death however, globally and within Pakistan, raises pertinent and searching questions. PHOTO: REUTERS. In what was a political paradigm dominated by plump dictators and disengaged philosophers, Fidel Castro and his accomplices gave new life to the left-wing. Their irresistible charisma, packed with unshakable ideological commitment and trademark physical appearances inspired an entire generation of revolutionaries. Although Fidel may have lost out to his fellow Che in the T-shirt revolution, in the larger historic-political context, Castro’s impact and significance far outweighs his former comrade. Escaping an estimated sum of 689 assassination attempts, the man built a communist state at the door step of the United States, sustaining it for almost six decades and out-lasting almost 11 American presidents. The reaction to his death however, globally and within Pakistan, raises pertinent and searching questions. Who was the man beneath the myth? Was Cuba really better off under Castro than before? And does the death of an unquestionably brilliant man, but one constantly bestowed with the title of tyrant, dictator and oppressor really merit the outpour of sympathy and appreciation from the liberals of today. Castro ruled with an iron fist. Using draconian laws to imprison dissenters to the regime, he practically wiped out any political opposition during his six decade long reign. As well as using a heavily compromised judiciary to prosecute those who dared oppose him, Castro is held responsible for over 3000 extra-judicial killings. A combination of state control press and a civil society with vested interests in the system allowed him to maintain control of the masses even in the most troubling economic times. He wiped out any notion of free and independent thought within the country, despite high literacy rates. Those who still resisted were either coerced into silence through persistent harassment or illegal detention, as well as executions. Jose Miguel Vivanco, America’s director at Human Rights Watch, describes how in order to sustain his grip, Castro resorted to draconian rule and harsh punishments to dissent, continuing to repress all civil and political rights, even at a time where other countries in the region were moving away from authoritarianism. Not only was Castro’s regime not fond of allowing any freedom of speech, it also imposed restrictions on movement, with Cuban’s being held as de-facto prisoners in their own country as they were not allowed the right to leave, for immigration or other purposes. What is more troubling about the man we insist on celebrating today is not only that he oversaw a devastatingly authoritarian regime, but that he did this not based on ideological or doctrinal beliefs, but a simple and unquenchable thirst for power. In his early days as a young revolutionary skirmishing with government forces in the Cuban countryside, Fidel portrayed himself to the world as a believer of liberty, democracy, and social justice. Coming into power changed all that for him, as proceeded to spend his next 50 years systematically ensuring that every Cuban would be denied each of those fundamental rights. In light of the above discussion, it seems mind boggling that most of those in Pakistan, who consider themselves the torch bearers of liberal and democratic values, continue to commemorate a brutal dictator who deprived an entire generation of Cubans of their fundamental human rights. This hypocrisy is best explained with the dichotomy of the clueless and the shameless: those who are simply unaware of the nature of Castro’s reign in Cuba, and those who shamelessly choose to ignore the blatant brutality he has displayed throughout his time. It is the latter which concerns me the most, the collection of self-proclaimed liberal intellectuals who’s eagerness to conform to western discourse is so blinding that they simultaneously condemn much softer regimes like Pervez Musharaf’s in Pakistan, whilst glorifying hard-core totalitarian governments ran by people such as Castro. 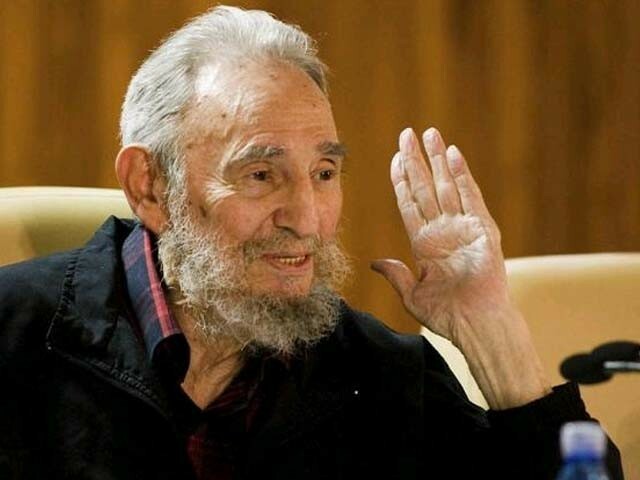 Certainly, Castro’s model of pre-incumbent pledges to hold elections and restore democracy only to be followed by years of dictatorship where civil and political liberties are sacrificed for certain limited social and economic advancement is very much reminiscent of the dictatorships Pakistan suffered under Ziaul Haq and Pervez Musharaf. This is an uneasy reflection on certain sections of the Pakistani civil society who on one hand, go as far as to defending a kleptocratic so-called democratic setup just to warn against the dangers of dictatorship, and on the other, sing praises of a dictator perhaps much worse than any we have ever seen. It is a sorry state of affairs that those responsible for developing the intellectual and political discourse of the society are marred by such glaring contradictions. One can only hope that sanity prevails, and double standards pertaining to autocrats and dictators diminish, whilst the urge to follow any line promulgated by western media is also stifled in pursuit of fairness and rational. Do you think Fidel Castro’s life should be celebrated? Is the divide within the Sharif family inevitable? Can Nawaz Sharif salvage his legacy by normalising relations with India and the economic alleviation stemming from it? Saudi Arabia, India or the US – who is conspiring against Nawaz Sharif and why?